Work on eraTouhouReverse is ongoing. In other news, I’ve added 2 more projects to my plate. The game is called Lewdness ~Vita Sexualis~, and yes, it is an eroge. The script is unpacked and in the process of being converted for translation. I’ve also started poking at another eroge game called 監獄女王&姫 ～ドS女看守達によるM男化調教～ (Localizing as Prison Queen). I managed to get the script unpacked, but I need to figure out how to convert the files to a readable format for translation. I’ve recently fallen down the hole that are era games (Warning: Link is to a site that’s Not Safe For Work). So, I’ve decided to take on one of those game on my own. I’ve decided to work on eraTouhouReverse. It’s a game of an adult persuasion that takes place in the Touhou Universe. It has you as a slave being trained by Touhou characters. From the looks of things, translating it will be quite simple. It’s just editing a bunch of ERB and CSV files in a text editor. I am seriously thinking about crowdsourcing a full translation, and since the interpreter it requires, Emuera is open source, that could be modified to fit our translation. If I do crowdsource it (99% possibility), we’ll need people that are familiar with the Touhou universe to help edit the translations and set up a place to aggregate and coordinate. Repository is up! Be sure to read the Readme thoroughly! No I’m not dead. I’m just stalled on projects right now due to lack of skills. If you haven’t been paying attention to my Twitter feed, I’ve started taking donations to move out of rural Georgia where I could be the victim of a hate crime at anytime, living in a house that by all rights should be condemned, no jobs being available, and no insurance so I can’t get physical and mental help to deal with suicidal depression. Raising funds to move me, my mom, and her sister to Seattle, Washington. There, I have friends who can get me the help I need to live a productive life. This idea started when I was playing Final Fantasy Mystic Quest. I wanted to edit some things and tried to use JCE’s Mystic Quest Multi-Editor. Unfortunately, it was coded in Visual Basic 6 which means it won’t work. So I decided to make a more modern one using C#. You can see the beginnings of it on the GitHub page. 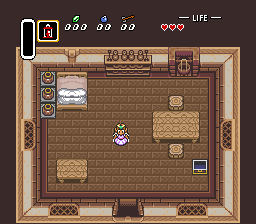 So, spurred by how successfully I replaced the Link sprite with Zelda in A Link to the Past, the hack is now available for the JP version. Get it over on the original hack’s page. I’m dropping Princess Maker 2 Refine. If you’ve been paying attention to my twitter feed, then you’ll know an official localization for Princess Maker 2 Refine is on the way. As such, I’m dropping my translation. Please buy it and support more games like this coming over. Thanks to a friend, I have a new PC. So, I can almost pick up where I left off. Still trying to whip Script Tool into shape to extract the script from PM2R. Due to circumstances beyond my control (my PC is not doing too well these days), I have to put all my projects on hold until I can get the funds to replace it (which will probably be never).